Kier has been appointed to develop Scania (Great Britain) Ltd’s new UK headquarters and support centre in Milton Keynes. The proposals will see Scania remain on its existing site, where the company has been based for 36 years. The current site houses a t-shaped office facilities building and car park, and Kier is adding a new, 54,754 sq ft, three-story HQ along with a 4,718 sq ft facilities building, with work due to complete next summer. Once the new building is complete, Kier will demolish the existing facilities space. The new HQ building will be a steel-framed structure with composite metal deck upper floor and roof. Internally, the building is mostly open plan, with dedicated meeting and conference rooms, and the three-storey open atrium will include a feature staircase. 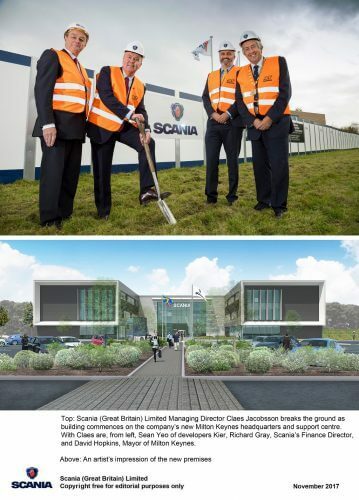 Claes Jacobsson, Managing Director for Scania (Great Britain) Ltd, commented: “As one of the UK’s leading commercial vehicle suppliers and one the longest established companies in Milton Keynes, this development reconfirms our commitment to both our industry and the area in which we are based.